This is a memorial/good memory tattoo I had done over the weekend in honor of Mar. 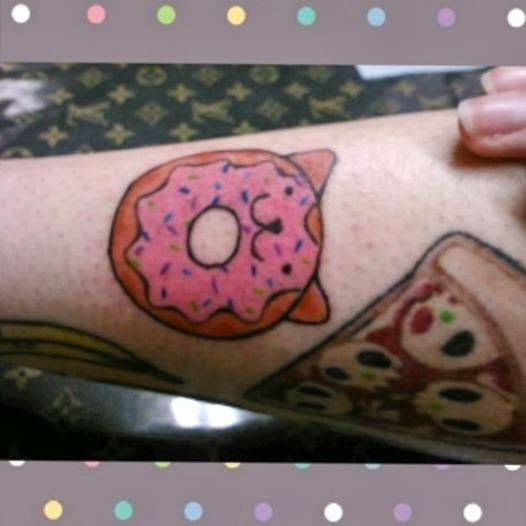 He loved doughnuts so I thought a kitty doughnut would be appropriate. Of course it has to be cute and fit in with my cute foods theme. The tattoo was done by Buddha over at Born to Lose located at 1009 McHenry Ave, Modesto, CA 95350. Go to him/his shop for a friendly staff and a clean shop.